VocColours is a vocal quartet of four adventurers Brigitte Kupper, Gala Hummel, Norbert Zajac, Iouri Grankin. The first CD of VocColours (ZvuKlang) was recorded with the Russian pianists Alexey Lapin. 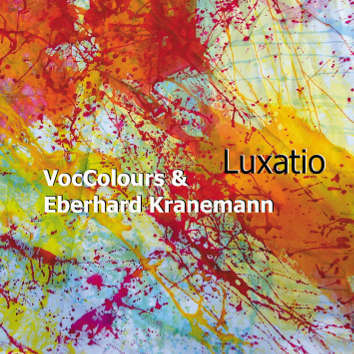 For their second CD VocColours find a willing partner in Renaissance man Eberhard Kranemann and venture into whimsical territories uncharted by their previous album. Recorded live in Cologne, "Luxatio" packs enough wacky energy to crack your glass wall and infect you with the fragile beauty. Mount your elephant and run!